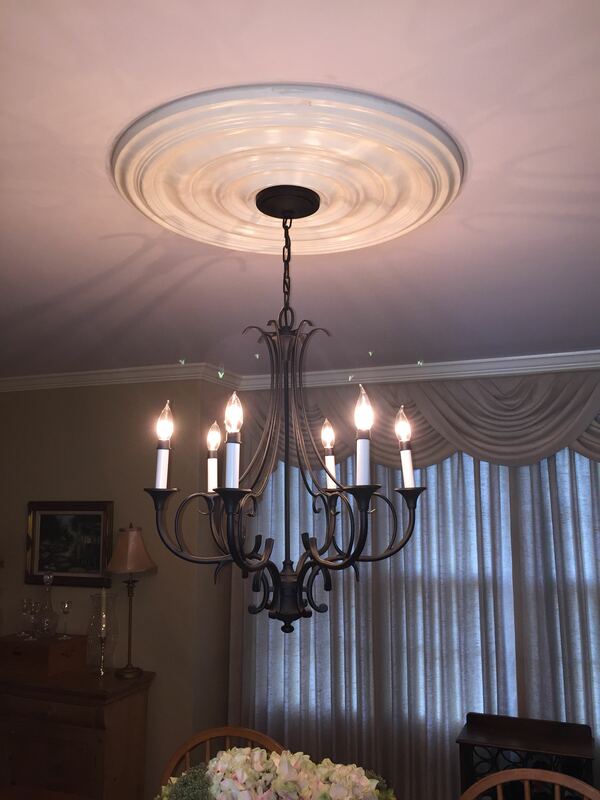 Joe from Voorhees, New Jersey, sent us this picture of his newly installed Carton Ceiling Medallion. Joe used our ceiling medallion in combination with a light fixture in his dining room. As you can see the ceiling medallion is a great complement to Joe’s light fixture and dining room. Use the link below to check out our other varieties of medallions!